Dispatched from and sold by RealFoodSource Ltd. 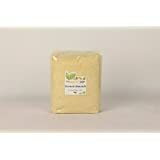 Sent from and sold by RealFoodSource Ltd.
5.0 out of 5 starsGreat flour, excellent price. Ah, this almond flour is simply amazing. 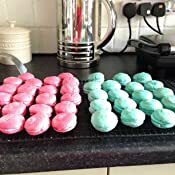 I have been on the Ketogenic WOE (way of eating) for over a year now, and to put it simply, baking can be extremely difficult unless you have the right ingredients. 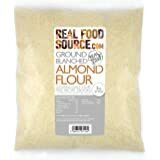 I was purchasing standard almond flour (ground almonds) for a while, and using those in baking. For savory recipes, its not great, as it can taste a bit like marzipan (and that's not the taste you want coming from your dumplings in a stew). With the extra fine almond flour, it is simply like normal wheat flour, only a little denser! The quality of this product is perfect, and the seller very genuine. 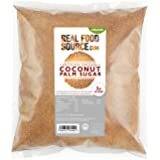 You know exactly what you are getting, and I have been buying from the RealFoodSource for over a year now. Every batch is perfect, and I have never had any problems. 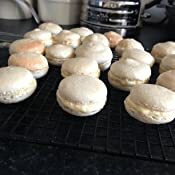 I've found that with this flour, you need to use extra baking powder (about double that of normal wheat flour) and make sure that when you add wet ingredients, to get it into the oven as quickly as possible for the maximum possible rise. Overall, a great seller, good company and wonderful product. The price is fantastic too! 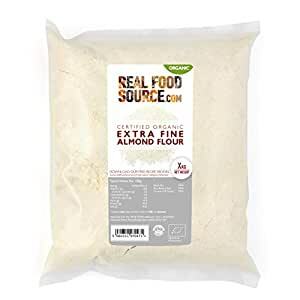 Have bought this almond flour a couple of times after deciding that wheat and grains were getting kicked out of my life. 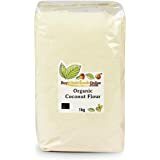 The flour is great to cook with and I have made many meals with it, including "mug cakes" (i.e., snacky keto friendly lunches for work), desserts for the kids, "breads", pizza, and various snacks. It's also great for thickening curries, stews, etc., though you have to be careful or you can end up with a gritty feeling. When the raw product is mixed with other ingredients and ready to cook, I do find that it smells strongly of almonds, to the point I feel its overwhelming, but when its cooked the smell kind of transforms into a "bready/yeasty" smell and it tastes great. 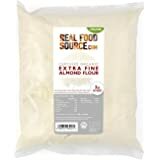 This product is well-milled and easy to use and, considering the price of almond flour, I think it's good value for money. Beautifully silky, fine almond flour just blends as well as any wheat flour I've used. Being part of a gluten/grain/sugar free lifestyle, I long ago gave up wheat, rice and other grains, which left a hole in my cravings for cookies, pies, cakes, etc. 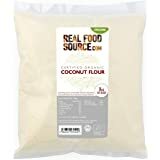 This particular flour is just so much better for getting that delicious chewy texture due to its super fine grind--so much better than the grainy other almond flours out there. Really happy with this purchase! 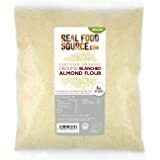 I've used this almond flour a few times and can say that it's great quality. It's not super fine ground (powder like) which is great because I find the super ground is tricky to bake with. I use this for making Paleo and ketogenic recipes. It's decently priced and is of good quality. 5.0 out of 5 starsVery fine flour. I thought I'd been sent coconut flour, it's that fine. Tried to make my usual keto cheese muffins but they came out dry and flat, which I was kind of expecting. Made some keto lemon muffins with extra liquid and they were amazing, if I didn't know that they were made with almonds, I would think they were normal muffins. I did a carbohydrate comparison with my usual grainier almond flour and apparently this has less carbs, which I don't understand because everyone says it's higher in carbs with some of the oil being removed, or maybe I just inadvertently buy higher carb flour. Either way, this is a game changer. I really like this company. I buy a lot from them and all is high quality and well packaged. The prices are very reasonable. 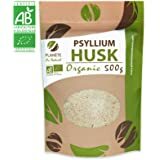 This is the best protein rich almond flour I've come across. Super fine texture and great for many uses. It's nutritional value is significantly better than others I've seen at a similar price. I've repurchased this many times. 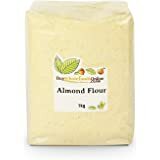 Super almond flour, nice and fine, perfect for low carb/keto baking and recipes. I've made mug cakes, chocolate truffles, pancakes and Fat Head pizza from it. Everything has been delicious. I only wish it wasn't so expensive in comparison to regular flour. I use it for my guests for making bread, cakes, etc. There's a lot written up on this way of baking. Amazon sells all the books necessary as far as I'm concerned. Don't think this is the same as ground almonds...OH NO...this is the consistency of fine flour!